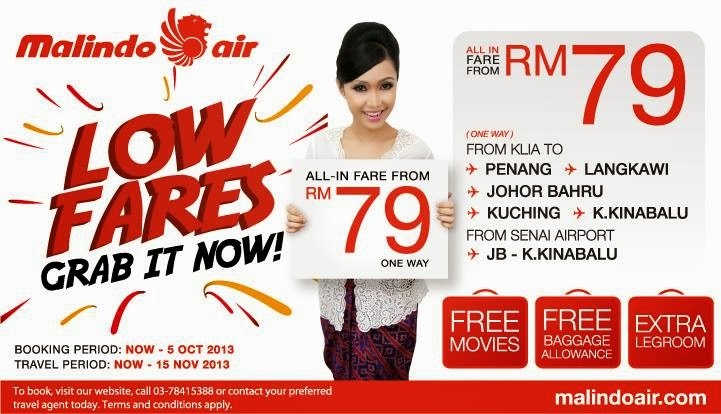 Browse » Home » Malindo Air » Malindo Air Low Fares Grab It Now Promotion! Malindo Air Low Fares Grab It Now Promotion! Fly from KLIA to Penang, Langkawi, Johor Bahru, Kuching and Kota Kinabalu from RM79! Frly from Senai Airport, Johor Bahru to Kota Kinabalu from RM79!